At midnight on Saturday night, we locked the doors. At the Give Back Hack, 29 students wouldn’t leave until they came up with their plans to help community organizations address vexing social problems such as homelessness, mental health issues, sexual violence, and cancer awareness. Students from computer science, art, journalism, advertising, and business disciplines formed teams and got down to work. At midnight Sunday, they presented their ideas — and they were fantastic. Sure, the pizza and Red Bull amped up their creativity. But what made this event a success was the students’ willingness to work for 24 hours straight to help others — to give back. 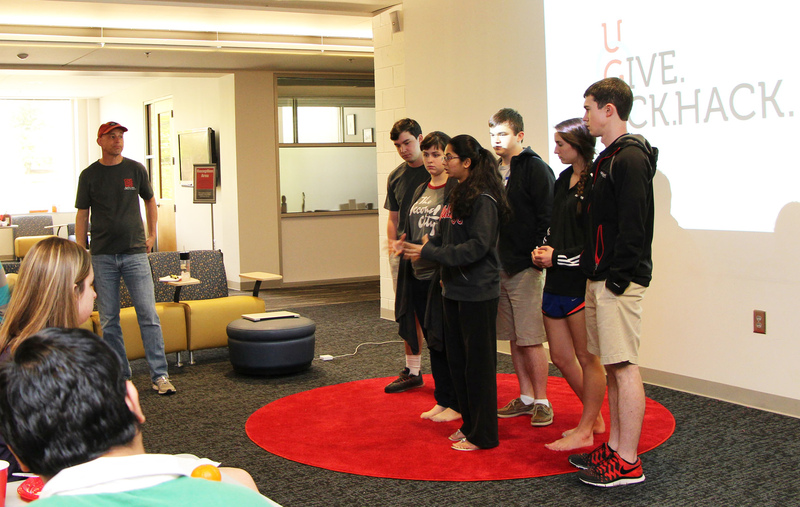 Verizon provided funding and the NMI hosted the event as a part of UGA Thinc. Week. We are very proud of all the students accomplished.